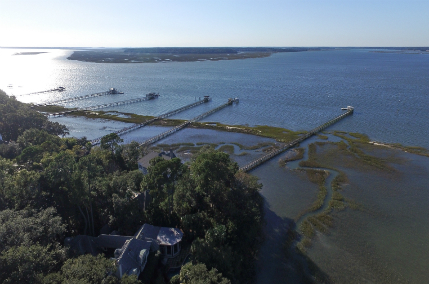 Spanish Wells is one of Hilton Head’s most exclusive and picturesque communities. Contained and private with no through traffic, vacation rentals or resort activities. Spanish Wells is exclusively for property owners and their guests. Characterized by large homesites, ancient moss-draped live oaks and waterviews at every turn, the community is secluded, yet not removed. The development includes a 9- hole golf course and tennis courts at the Spanish Wells Club, a community dock, and a community swimming pool.